to be quite frank, this year has really kicked me while i've been down. it has been a tough go of it. for many, complicated reasons. something that was a really big deal for me went absolutely WORST CASE SCENARIO. worst case scenario. and there was nothing i could do about it. and the event itself has dragged on for about three months—it's finally over. you know how your arm gets really tender and sore after a tetanus shot? that's kind of where i'm at, emotionally. it's may, and i finally, today, feel as if i can kick this funk to the curb. i wanted to share a list of some of the things that have brought me a little joy during this very rough patch. so maybe they can do the same for you, and mostly because i don't want to forget them. i've never seen footage of julie so young! and what a perfect duet that plays to both of their strengths. it's absolutely breathtaking. 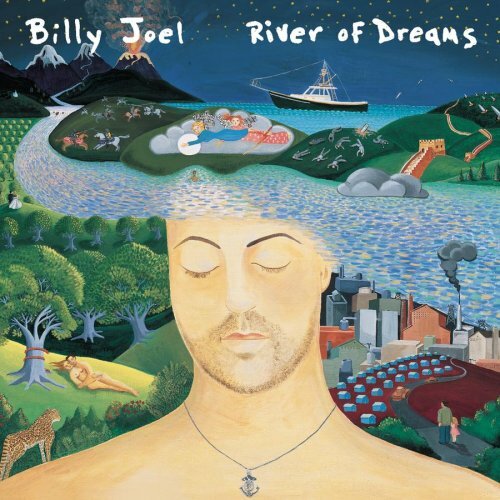 i have always loved billy joel, but it wasn't until sometime in february that i realized 'river of dreams' was his last album. (annoying people will bring up the fact that he wrote some classical piano music since, but he wrote it for someone else to perform—not the same thing. also, i'm young, and all of this music was released before i was born, probably why i'm realizing the chronology so late in the game.) after i found this out i was absolutely floored. listening to it again after knowing that truly was like listening to a different work of art. how incredible and also how absolutely devastating. if you have the chance, read about the making of the album/what was going on in billy's life at the time. such a profound swan song. i don't have much to say because i still haven't found the words to articulate. but i was so moved by this film. it breaks my heart (and honestly, makes me a little angry) that there was so much backlash by people who hadn't even seen the movie. i think it's my favorite film so far in 2018. there are some major ways it doesn't apply to me—surprise, i'm not a mom! but it made me feel less alone in the heaviest parts of life (and depression). i'm sure i will think of more as soon as i publish this, but i wanted to write down some of the things that have cushioned my heart a little over the past few months (which were so hard on it). I've always loved this shot. A good reminder that we're not finished, and that we don't have to be decided yet. I like birthdays—they're a time to reflect and make resolutions, but with less pomp and circumstance (and pressure) than the new calendar year. I am slowly realizing that I can bring certain things to the table in regards to my career, but it's also not entirely in my control. And in this season specifically, I am working hard and hustling, but I probably won't see much payoff in the near future—probably not for a few years. I didn't pick an industry that is particularly easy to break into. So here are a few things I want to do during year 23, just for me, unrelated to my job. "Men are afraid women will laugh at them. Women are afraid men will kill them." Images from a visit to the Broad Museum on the day after Christmas. Today I roadtripped with my sisters to see Leonard Knight's Salvation Mountain (more on that in another post! so many glorious photographs), but I had an interesting (read: negative) experience on the way there. I got off the highway and pulled up to a pump to get some gas. I turned off the car and took about 40 seconds to find my wallet in the back seat and create the following game plan. My sisters and I were conferring—I wanted to buy the gas on my card, but was also considering splitting a cinnabon with Emily from the convenience store. It was decided—Liz would pump the gas on my card while Emily and I went inside to get a cinnamon roll. It took me significantly longer to type this paragraph than it took to decide in person, but before I could tell Liz my zip code some guy was rapping his knuckles on my window. "There are people waiting. Are you even going to get gas?" He carried on—even though I hadn't even taken a minute to get my things together and even though there were two empty pumps I saw in my quick scan of the lot, I was uncomfortable with the way this man was speaking to me. I apologized profusely, addressed the man as sir, and wished that he would get back in his giant orange truck already and leave me alone. I got the gas instead of delegating with my sisters. I wanted to stand up for myself; I wanted to tell him to get away from me; I wanted to give him a piece of my mind. I wanted to point out the two available pumps he would've seen if he even bothered looking; I wanted to ignore him all together; I wanted to take my sweet time just to spite him. But I didn't do any of these things because I was afraid of this stranger. This man who felt entitled enough to bother me in the first place. The only action I could take where I felt remotely secure meant that I apologized profusely for doing nothing wrong, that I referred to this stranger as "sir" and made sure my voice sounded as submissive and respectful and remorseful as I could. I stopped taking the train to work for several reasons (time), but a huge influencing factor was actually that men bothered me every day. No matter what I did, what I was wearing, or how I reacted. I feel grateful and recognize that I am privileged enough to take a car to work instead of the train. Not everyone can afford to do that—overall between transportation costs and the loss of the public transit incentive from my work, it costs me about $13o more a month to not take the train. That's a lot of money for me—I'm fresh out of school and I have bills, but I could afford to adjust my budget in other ways and make the choice to give that up. Not everyone can. Not even close. How Has It Been (almost) Six Months? The other night I saw that I hadn't written a post since the day I moved here. I can't believe it has been (almost) six months! One thing that I find fascinating is the way that foreign things somehow become home when you're in a new place; the transition is so subtle that you almost don't even notice it happening. It happened in Provo—Driving down University Avenue a few days before moving here and remembering how strange that spanish style apartment unit on 4th North felt four years earlier. And now, a few months after getting to Koreatown, it feels so much like home that the idea of apartment hunting for another place in six months seems strange. I've kind of stopped shooting since getting here—I love portraits, and filmmaking in general is a collaborative art. And since I don't know people, I've stopped all together, which is making me feel worse. So, I'm going to shoot this week. I'm not putting guidelines or rules on it, but I want to shoot a little film and a little digital. I have Thursday and Friday off because of Thanksgiving, so there's time to do a little creative exploring. Writing it here so I'm accountable. Below is probably my favorite photograph I've made since being in LA. Here's to making some more favorites. Well, I made it! Officially graduated and moved into my apartment. This was the view the first night and it's been stunning every night since. We have roof access on our building and I just want to photograph every sunset. I've spent most of the last few days watching true crime documentaries (the most interesting one was Oklahoma City re: Timothy McVeigh, Waco, Ruby Ridge, etc. I didn't know very much as it happened when I was a baby) while I put together furniture. "Maybe you shouldn't have made me so bloody small." That line, from Their Finest, is one I will never forget. Sometimes someone says something you haven't been able to articulate on your own. Lately I've been connecting a lot with the words of Rupi Kaur and Stephen Sondheim. And today, with the words of screenwriter Gabby Chiappe/novelist Lissa Evans. Why is this movie not on more radars? I weep for the fact that I haven't seen a single thing about it in my news feeds, which are filled with articles from Variety, The Hollywood Reporter, IndieWire, etc. It's incredibly moving, and lives in one of my favorite spaces in which a film can exist—one that makes you laugh one moment and weep the next. There's an essay in Amy Poehler's book Yes Please that talks about this close connection between laughter and crying. She writes about being 10 months pregnant and on set at SNL when she found out that her OBGYN had died the night before. Even though there is perhaps nothing more terrifying than a sobbing million-months-pregnant woman, Jon Hamm (the host that week) said something to her that sent her from hysterically crying to hysterically laughing. 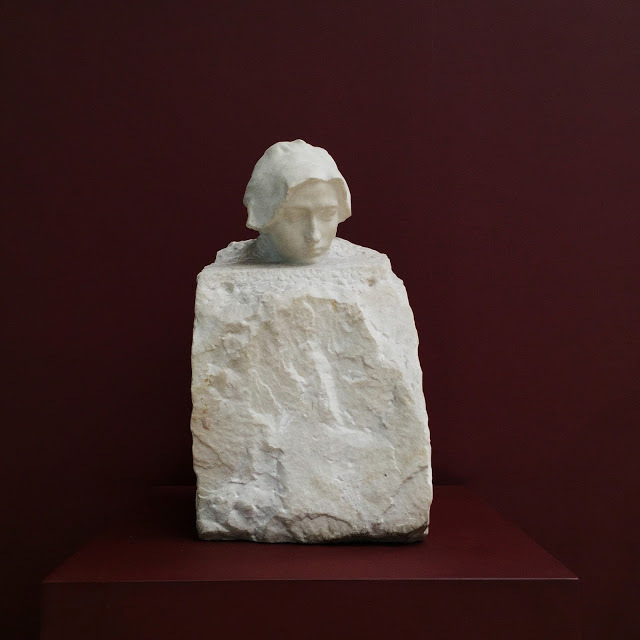 She finished the essay saying that this ability for us as human beings to make that right turn from sorrow to joy (and feel both) adds many years to our lives. My point is that my favorite films seem to tread that same line between sorrow and joy that life does. It's difficult to do and I find it particularly moving. This film spoke to me so profoundly. As a woman, as a filmmaker, and especially as both. There were witty observations about actors and writers, about England and America, about love and loss. This film was such a celebration of women, so much more than I expected going into it. Throughout the film, Gemma Arterton's character Catrin is intelligent and driven and quietly flexing her feminist backbone (it's delightful. A reminder to the debt I owe the women who came before me and sacrificed everything for me to even imagine the rights and opportunities I take for granted every day). She makes choices to work, to write complex and brave women in her scripts and to financially support herself, despite people in her life asking or guilting or demanding she doesn't. And finally she realizes that she doesn't have to be small about it. She realizes that she is not out of line, not being too big—she realizes that those individuals want her to be small. And she deserves to be anything but. *Spoiler Alert! This line is particularly powerful because Catrin's boyfriend dislikes her independence and accomplishments. He's an artist and in the canvas he painted her she appears as a minuscule figure—he literally makes her small. It's a stunning metaphor. I love movies.